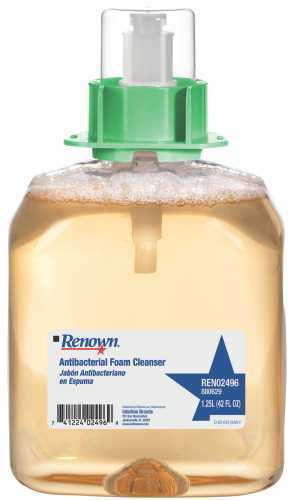 Eliminating germs is more effective with this smooth, orange antibacterial foam cleanser from Renown. It completely cleans hands and leaves them with a fresh, fruity scent. Each 1,250-milliliter bottle is made for use with dispenser 55-5127. This dispenser is SOLD SEPARATELY.